Do you need to make a stronger business case for biodiversity conservation? Do you want to become more skilled at developing financially sound and politically feasible solutions to conservation and development challenges? Do you need to know how to develop an effective biodiversity finance plan? 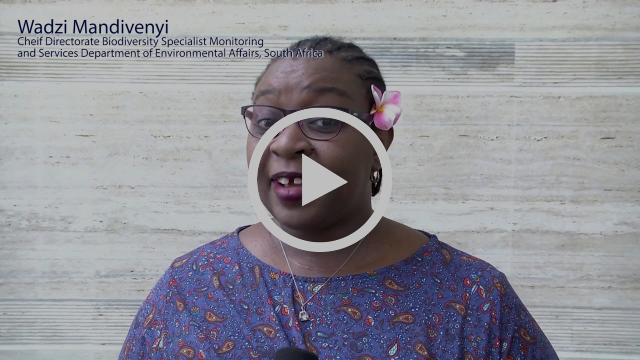 Do you want access to more tools to assess the policy, institutional, and economic context for biodiversity finance, and to conduct a financial needs assessment to achieve a country’s biodiversity goals? 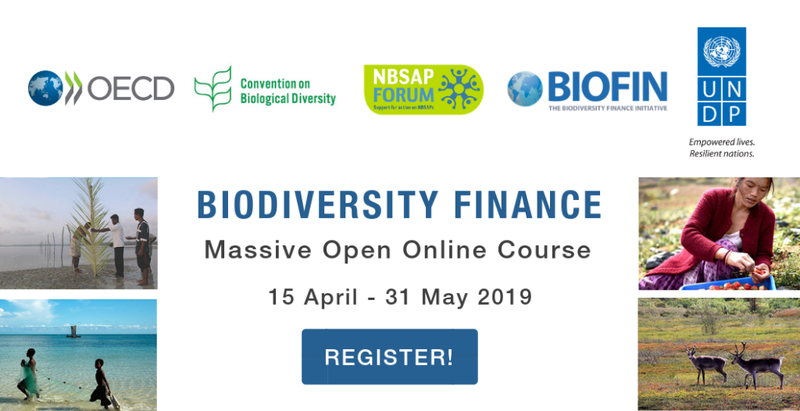 We are offering a FREE seven-week Massive Open Online Course (MOOC) called Biodiversity Finance. It will be facilitated in English, French, Spanish and Russian, and will run from 15 April to 31 May 2019. The course is aimed at conservation planning and biodiversity finance practitioners and policymakers, but is open to everyone. Develop a biodiversity finance plan for most suitable finance solutions. We invite you to watch this brief introductory video about the course! In it, leading biodiversity finance experts will greet you and explain how this course will help you see biodiversity in a different light. Learn how nature is also a core component for economic growth, job creation, poverty reduction, an investment in national food security, water security, and climate resilience. This course is offered by the United Nations Development Programme (UNDP) Biodiversity Finance Initiative (BIOFIN), in partnership with the UNDP Global Programme on Nature for Development, the NBSAP Forum, the Secretariat of the Convention on Biological Diversity (CBD) and the Organisation for Economic Co-operation and Development (OECD). Financial support is provided by the governments of the European Union, Flanders, Norway, Germany and Switzerland, and the GEF. Copyright © 2019 Learning for Nature, Global Programme on Nature for Development, UNDP, All rights reserved.